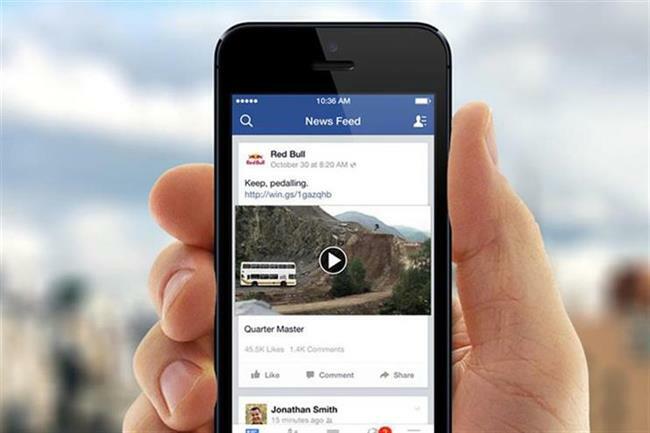 Facebook is overhauling how its news feed works to make posts from businesses, brands and media less prominent. Announced in a blog by its chief executive Mark Zuckerberg, the move is aimed at allowing users to see more content from friends and family. He conceded that this could result in people spending less time on Facebook and that "some measures of engagement will go down". The social media giant made the decision in line with findings from in-house and academic research. Explaining the switch, Zuckerberg said: "We built Facebook to help people stay connected and bring us closer together with the people that matter to us. That's why we've always put friends and family at the core of the experience. Research shows that strengthening our relationships improves our well-being and happiness. "But recently we've gotten feedback from our community that public content - posts from businesses, brands and media - is crowding out the personal moments that lead us to connect more with each other," he added. He blamed this trend on the explosion of "video and other public content". Zuckerberg said Facebook had a "responsibility to make sure our services aren’t just fun to use, but also good for people's well-being". He said the research informing the move found that connecting with people on social media made users feel more connected and less lonely, and that correlates with long term measures of happiness and health. He added: "On the other hand, passively reading articles or watching videos -- even if they're entertaining or informative -- may not be as good."